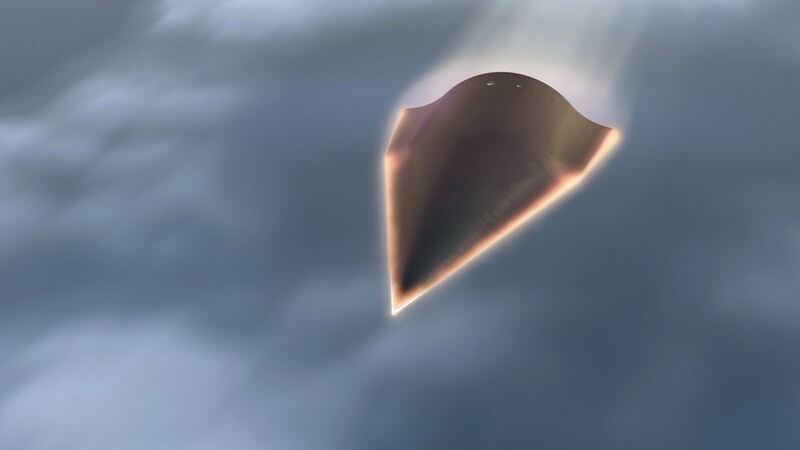 This week DARPA launched their new hypersonic bomber on a Minotaur 4 rocket to prove the technology needed to bomb anywhere in the world in under an hour. The test vehicle, known as the Falcon Hypersonic Test Vehicle 2 or HTV2, is launched into orbit and then glides back down through the atmosphere at Mach 20 over it’s target. How fast is Mach 20? Well, it’s about 13,000 Mph or NY to LA in 12 minutes. Wind tunnels can only simulate Mach 15, and only then for a few milliseconds, so advanced computational modeling was used to design the HTV2. Why the need for a 13,000 Mph bomber? The idea is called "Kinetic Bombardment”; An object the size of a crowbar moving at these extreme speeds would cause an explosion the equivalent of a 500 pound bomb. It would also be almost impossible to track or shoot down and could penetrate deep into the ground. 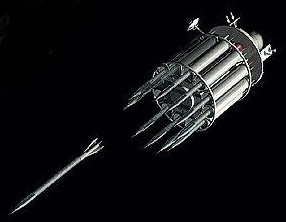 Larger versions of this type of weapon (think telephone pole) are thought to be able to create the equivalent of a small nuclear explosion without the radiation effects. Somewhere between crowbar and telephone pole you get an object small enough for a robotic bomber to carry as a payload, yet big enough to destroy an aircraft carrier or a building. Apparently the U.S. has been working on this technology since the 1957 X-20 Dyna-Soar project. The X-20 itself was based on the German WWII Antipodal Bomber project. 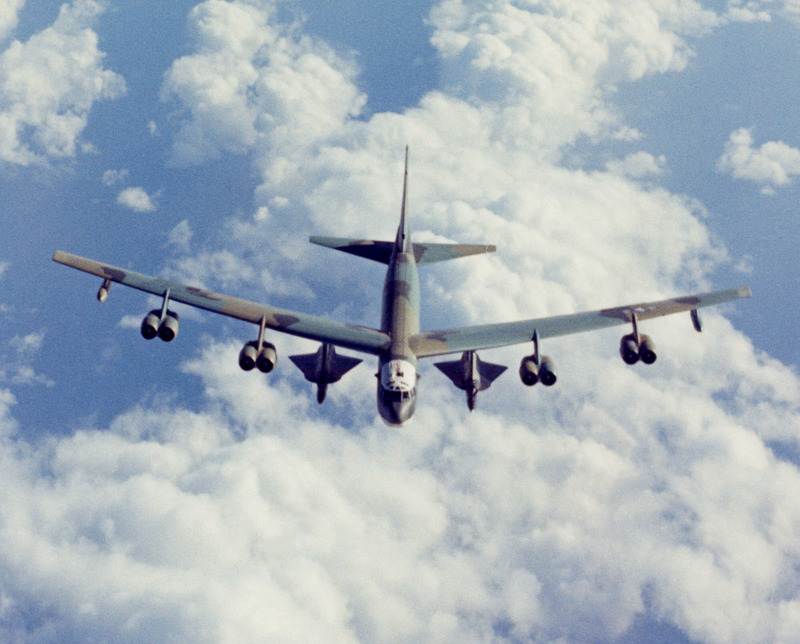 After this program was cancelled, the CIA took over the idea as a B-52 launched replacement for the U-2. The program went top-secret as project Rheinberry. 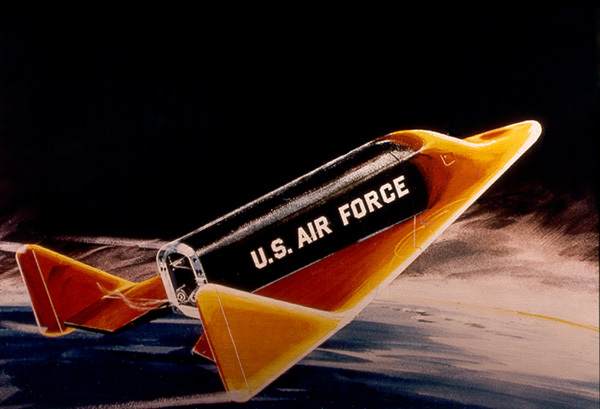 From the 1970s to the 1990s the U.S. spent $4 Billion on similar classified space plane projects. There doesn’t seem to be an end to this type of development, mainly due to the overwhelming strategic advantage that it offers. The current administration thinks it could allow the U.S. to cut back on its nuclear weapons while keeping deterrent and global strike capabilities. In fact, in April 2010 the Secretary of Defense indicated that the U.S. already has this ability - the same month as the X-37 orbiter and the HTV2 made their initial flights. We can expect to see more of this type of testing, so keep an eye out for anything crossing the sky in under 10 seconds and, if you’re a bad guy, watch out because it might be coming for you.